Does the library have online books or ebooks? - Ask Us! Q. Does the library have online books or ebooks? 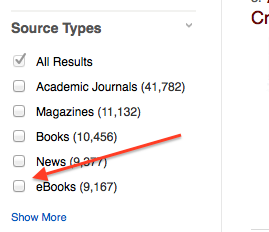 When searching in the Discover box on the library's homepage, you can limit your search results to ebooks after your search by checking the box next to "ebooks" in the Source Types box to the left of your search results (see picture below). 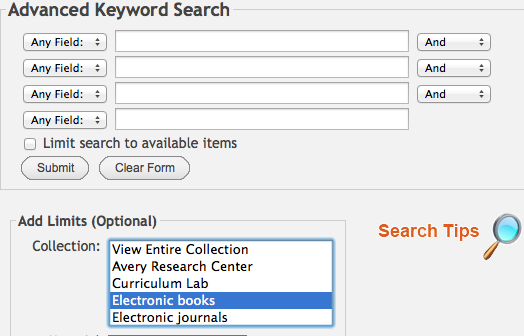 You can do a similarly limited search in the library's classic catalog by selecting to search only the "Electronic books" collection (see picture below).